OAKLAND, Calif. (KGO) -- It's official -- Riley is a big sister! 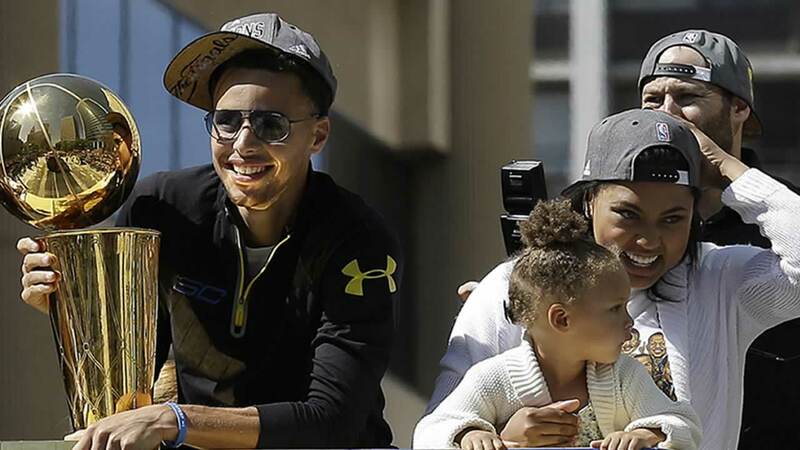 Ayesha Curry, wife of Warriors star Steph Curry, gave birth to the couple's second child Friday night, a baby girl named Ryan Carson Curry. She announced the birth Sunday on Twitter, linking to her blog, Little Lights of Mine. "The gift of life is truly an indescribable thing. We were fortunate enough to experience it all over again Friday night," Ayesha said in her blog. "Our beautiful little Ryan Carson Curry arrived perfectly healthy and happy!" Little Ryan was born after a quick three-hour labor and weighed in at 6 pounds, 1 ounce. Ayesha wrote, "Riley is completely enamored with her little sister and has taken on her role as big sister beautifully."